"Trousseau Gris was once widely planted in California under the misnomer ‘Gray Reisling,’ but when the grape fell out fashion in the 1980s, it was ripped out and replaced by higher-paying grapes throughout California. Happily, one local vineyard owner, Arcangelo Fanucchi bucked the trend and planted two acres of trousseau gris in 1981. Today, farmed by his son Peter, alongside the family’s better-known old-vine zinfandel vines, the Fanucchi-Wood vineyards near Fulton and River Road is the only trousseau gris vineyard in Sonoma County, and one of just two in California. 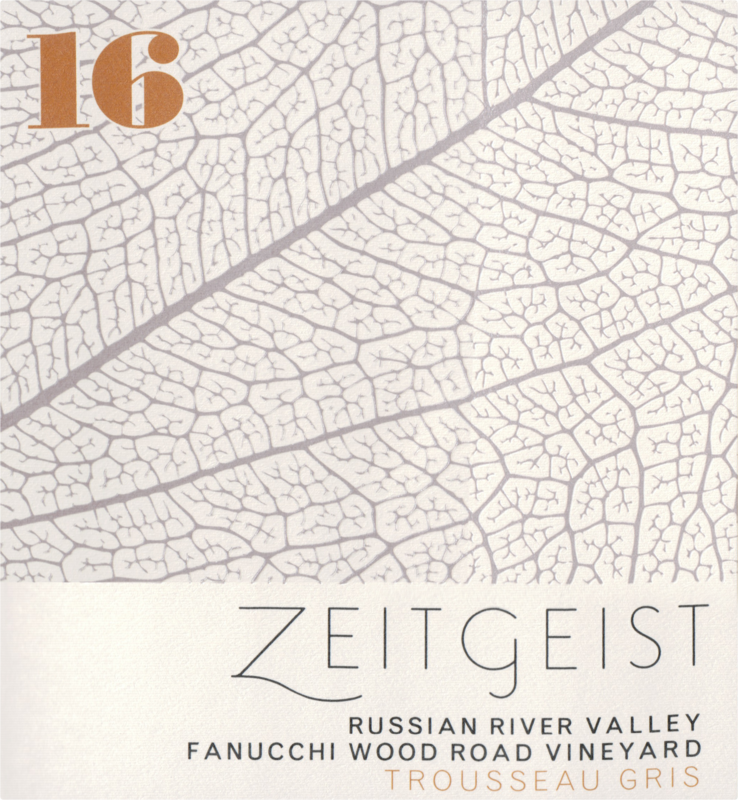 Zeitgeist Cellars was founded by the Napa husband-wife winemaking team of Mark Porembski and Jennifer Williams. 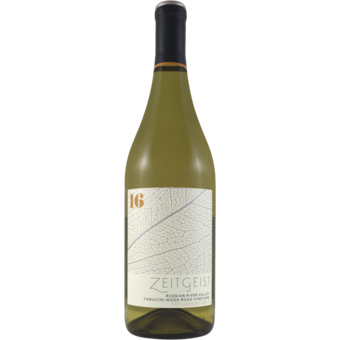 Zeitgeist sources fruit from a combination of two distinct Napa Valley vineyards: one from the warm St. Helena climate and the other from the later ripening Coombsville area of east Napa. Zeitgeist is a philosophical term meaning the spirit of the times. The word was coined by the German Romanticists to describe the cultural, ethical and spiritual mood of the era.